I created a quick reference guide for John the Ripper. Useful for those starting in order to get familiar with the command line. 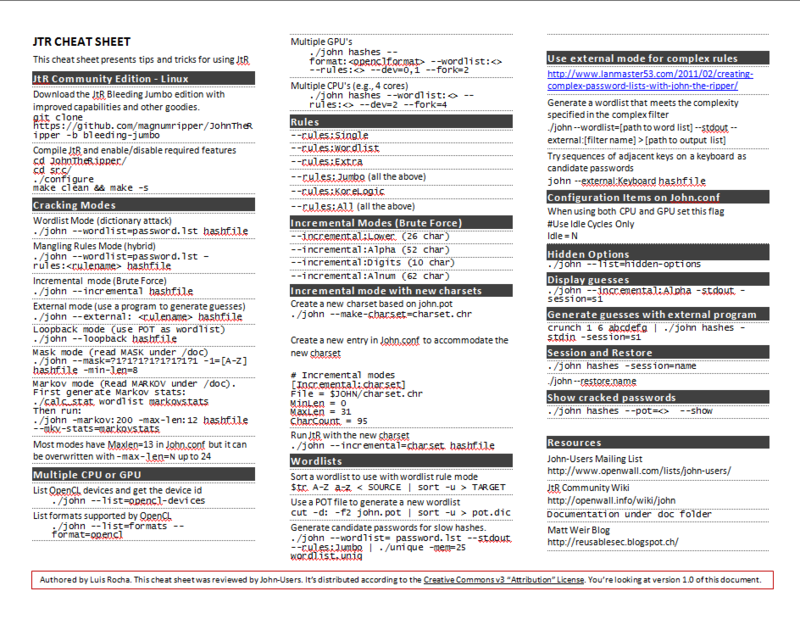 Download it here: JtR-cheat-sheet. Print it, laminate it and start practicing your password audit and cracking skills. Can also aid existing users when playing Hashrunner, CMIYC or other contests.